It’s been a while since we’ve seen, or heard anything in regards to an update for the popular tower defense game, Kingdom Rush. Ironhide Game Studio has been very quiet since the last entry in the series, until now. The developers recently published a teaser trailer out of nowhere for the next installment to the series, Kingdom Rush Vengeance. At the same time, they officially announced the sequel in a post on their website, as well as their twitter. Vez’nan is back! Follow him now and be part of his army! The trailer doesn’t show very much, living up to the “teaser” name, but we can see that multiple regions and different landacapes are hinted at, including a snowy port, a dungeon filled with lava and loot, and the obligatory zombie infested town. 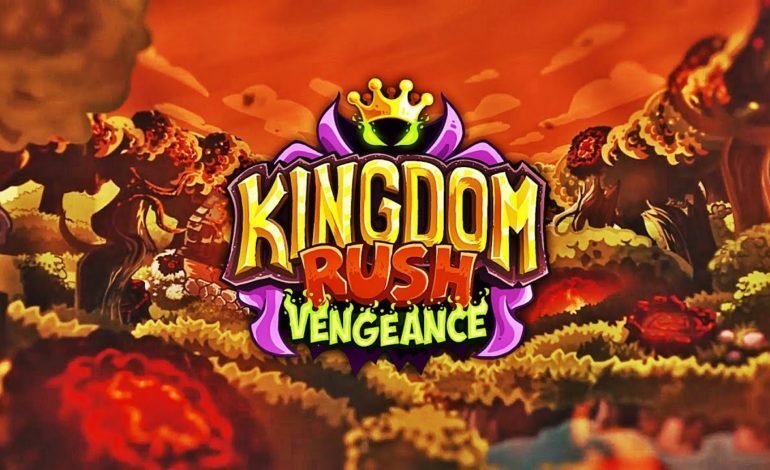 When Ironhide Game Studio’s first released Kingdom Rush back in 2011 on the web as a Flash game, it began to amass a huge fan following. This prompted the team to re-release the game on the iOS platform, where it was critically acclaimed and its player base skyrocketed. The game plays the typical tower defense style, such as placing towers on each side of a path to destroy enemies that appear in waves. Kingdom Rush changes things up with different tower types, as well as using individual units that engage the enemies on the path, including bosses. Tower Defense games tend to work out better on mobile platforms due to the simple touch controls and system mechanics, which is why there is such a huge amount of them. Kingdom Rush made this possible by setting the precedent for future tower defense games to follow seven years go, and it’s hard to imagine how popular the genre would be without it. Since then, the developers have released the game on Android, and even through Steam for PC. In addition, Ironhide Game Studio has produced two sequels, Kingdom Rush Frontiers in 2013, and Kingdom Rush Origins in 2014. Both titles have been held in high regard, and were generally well recieved upon release. It’s been more than four years since Origins came out, so to say that the fans have been waiting patiently is an understatement. Hopefully Kingdom Rush Vengeance lives up to the hype.